These coolers can sustain the toughest conditions and abuse due to their design and construction. These bi-axial arms go into a high-temperature oven which melts the plastic evenly and forms a shape inside the mould. You could choose different kinds of kayaks and coolers to fit in the container. 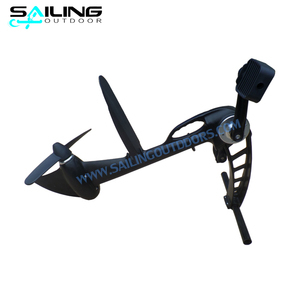 From its trawing rod holders in the aft section to the midsection 360 degreen rod holder. ) ; If ship in LCL, There are risks of damage to the kayak during shipment due to the container share with other goods. Q:Can I choose different color9 Yes, there are 8 different Winner color series can be provied for your choose. 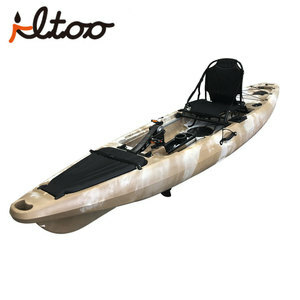 foot pedal kayak ITEM NO V 5.0 Depth 30cm/11.8'' Material LLDPE& TRI-LAM TECHNOLOGY Weight 26kg/ 57lbs Length 507cm/16.6' Cockpit 80 &times; 42cm/31.5'' &times; 16.5'' Width 55cm/21.7'' Max Cap. 150kg/ 331lbs Load Quantity: 20ft:33pc 40hq:100pcs Color: Red Yellow Blue Orange Lime Any solid colormor mixed colors, Stand Equipment (1) Deluxe Rudder (2) Adjustable Footrest System, (3) Special Seat Back Rest (4) 2 Water Proof Hatch Covers Made by plastic (5) Import Hatch (6) Elastic Cord (7)handles (8)Knee brace OPTION (1) Life Jacket (2) Sprey Deck (3) Trolley (4) Paddle Rope (5)paddle (6)Skeg Stability: &hearts; &hearts; &hearts; &hearts; &hearts; Tracking &hearts; &hearts; &hearts; &hearts; Speed &hearts; &hearts; &hearts; &hearts; &hearts; Fishing Featuring &hearts; Maneuverale &hearts; &hearts; &hearts; &hearts; Wanna see more please feel free to contact with us, Skype:zoe. chiang01 Thanks for visiting !! We could provide installation guide, if you have need, we could give you global service. We are a sales team, with all techinical support from engineer team. We are looking forward to establishing relationships with you in the near future. 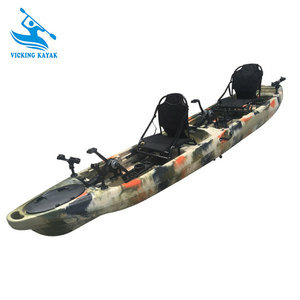 Alibaba.com offers 777 foot pedal kayak products. About 30% of these are rowing boats. A wide variety of foot pedal kayak options are available to you, such as free samples. 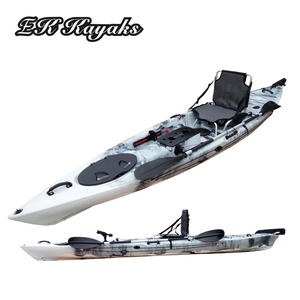 There are 696 foot pedal kayak suppliers, mainly located in Asia. The top supplying country is China (Mainland), which supply 100% of foot pedal kayak respectively. Foot pedal kayak products are most popular in North America, Western Europe, and Oceania. You can ensure product safety by selecting from certified suppliers, including 72 with ISO9001, 14 with Other, and 1 with OHSAS18001 certification.